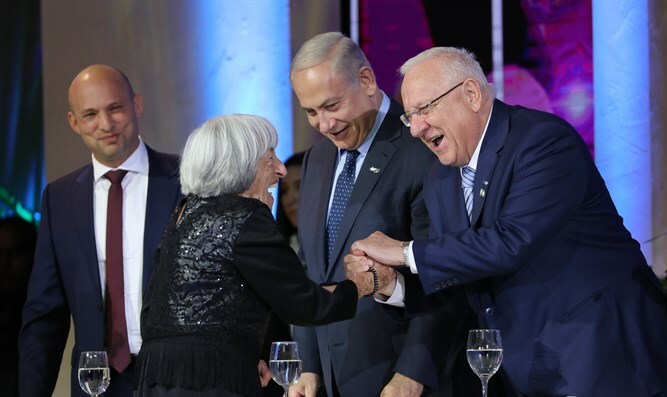 The Education Ministry recently published the various categories for which the Israel Prize will be distributed this year on Independence Day, in order to enable the public to propose candidates to the various groups. In contrast to previous years, the category of "Outstanding Achievement Award for Influential Personalities" includes five categories and not two as has been the case until now. One of the five categories is "Agriculture and Settlement," after the category "settlement" never appeared in the prize. According to a News 2 report, the intention is apparently to award the Israel Prize to Ze'ev Hever (Zambish), Secretary General of the Amana Movement, or to another prominent figure from the settlement enterprise in Judea and Samaria. The Education Ministry, which is responsible for the distribution of the Israel Prizes, rejected the reports and responded: "The claim about the prize that will be given this year is completely incorrect and is rooted in confusion: In honor of the 70th anniversary of the State, it was decided to grant, on a one-time basis, additional prizes for life projects, special achievements, and inspiring work. This is done in accordance with the Israel Prize Regulations: In special years, prizes can be added, and so will be done this year."